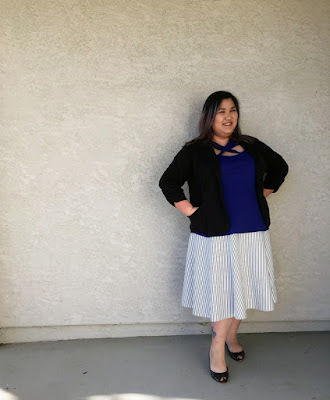 AshleyNewell.me: Plus Sized Outfit for ONLY $50 with Thrift Plus! 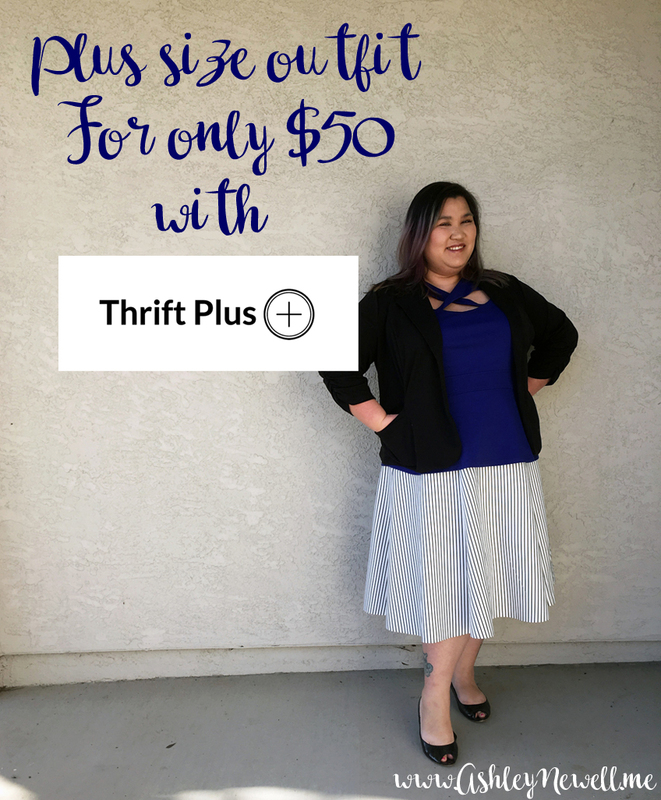 Plus Sized Outfit for ONLY $50 with Thrift Plus! I cannot tell you all how excited I am for this collaboration! 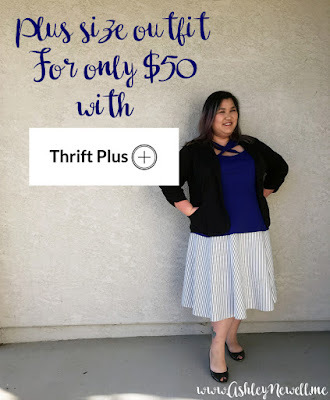 I reached out to Thrift Plus after they started following me on Instagram and together we decided that I should do a post where I get a whole outfit for $50! A three piece outfit for a plus sized girl for $50? I love that idea! I love nice clothes but I also love saving money! If you love saving money, read to the end of my post for a COUPON CODE! Thrift Plus is run by Miranda Schultz and her husband Kevin who does the photography and the technical side. Miranda is a plus sized gal who loves plus sized fashion. She was selling off some of her gently used clothes on Facebook and saw how many women were longing for beautiful plus sized clothing at an affordable price. 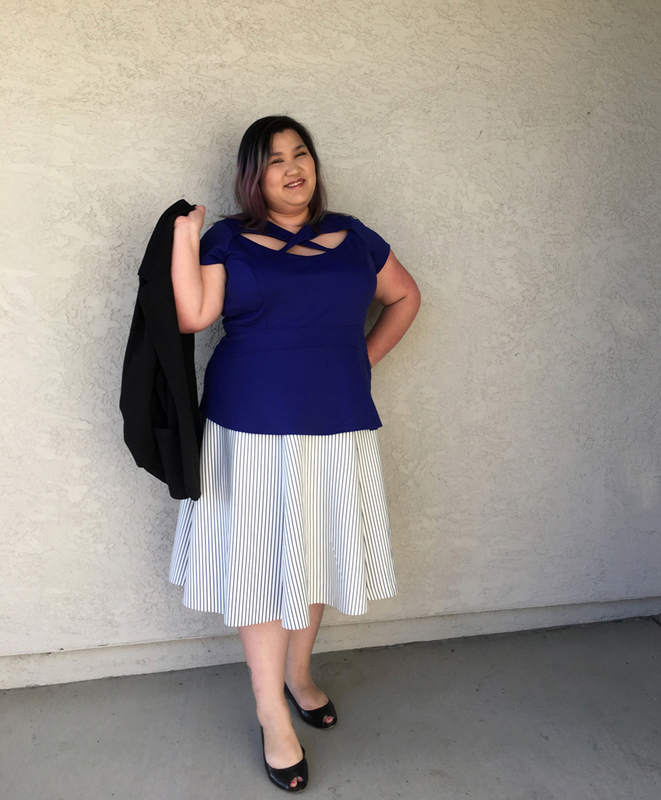 Miranda started Thrift Plus to help plus sized ladies around the country. She is the cutest and I wish we could go to coffee! Onto the outfit! I managed to get a three piece outfit for $50. I happened to be shopping on a weekend where there was a $5 off jackets or coats coupon. Not only did I get three pieces, I got some good name brand stuff! If you have any question about how an item might fit, you can ask Miranda. GUESS WHAT?!? Today, Thrift Plus is giving ALL of you a 20% off coupon! Just use code Ashley20 and you'll get 20% off. I'm so excited that I get to share this with you all. You have to hurry because there's only one of each item in the shop! Can you get a full outfit for $50, too? What a cute ensemble, Ashley! That blue top is too cute! I love it. :) You look great! Great choices! You look great. Super adorable! Such a great idea. Love this look! 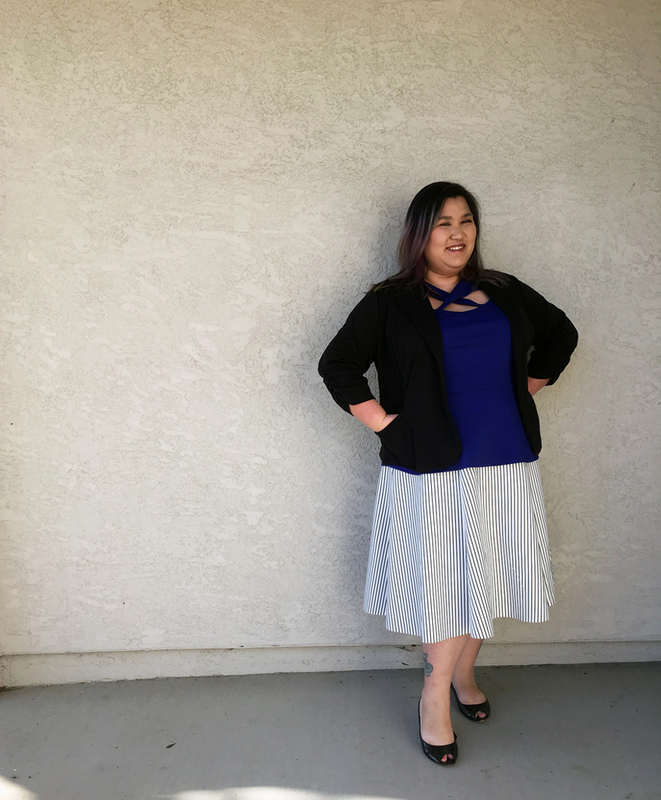 I love the lighter color skirt with the pop of color with the blue top. I love the story of how they started the company and that they started it together! Also, that top looks really great on you! Ah I love bargain fashion... you look adorable!!! That skirt is cute on you! I really enjoy hearing the stories behind how people start businesses, it's so interesting.